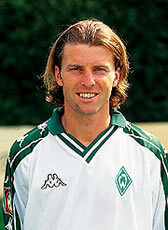 Verlaat signed in June 2003 a 2-year contract at Austrian champions Austria Wien. He went on loan for the 2004-2005 season at Stürm Graz who signed him on a permanent deal until June 2007. He hang up his boots in 2007 to end his 21 years professional football career. Verlaat has played three seasons in Switzerland, three in France, seven in Germany and four in Austria.